Last year Hardmans successfully supported the Canterbury and East Kent branch of The Samaritans and raised a considerable amount towards this very worthy cause. 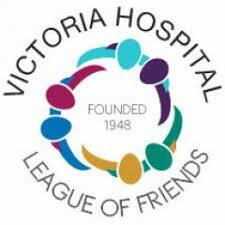 In 2019 we are very pleased to announce The Friends of Deal Hospital as our Charity of the Year. The Team at Hardmans felt it was important to show public support for this extremely valuable local service. Many residents of Deal benefit from the health services which the hospital offers and the hospital is a real asset of the Town. We have many exciting fund raising events planned by our staff members including a half marathon sponsored walk, a cycle ride, dress-down Fridays, Easter raffle, Christmas raffle and various “January” New Year sponsored resolutions to name but a few! We also offer clients the opportunity to donate to the cause and if you would like to do so please call the office on 01304 373377 to make a donation. Alternatively you can pop in to reception anytime during office hours. You do not have to be a client of our Firm – we welcome donations from anyone! Hardmans are grateful for all support given to this very worthy cause and we look forward to raising what we can for the hospital in 2019 – follow us on Facebook for updates on fund raising events!